It has been almost fifteen years since the National Institute of Justice (NIJ) recommended comprehensive changes to the ways that police conduct identification procedures for witnesses. Yet USA Today reports that a new NIJ report reveals that 84 percent of U.S. police departments still have no policy to govern how live lineups are conducted. 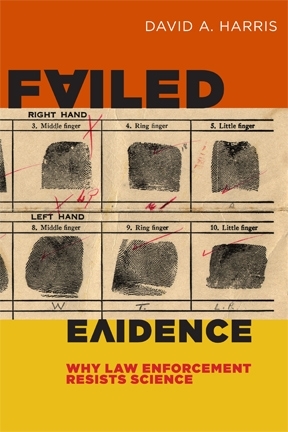 Readers of Failed Evidence know that almost three quarters of wrongful convictions overturned through DNA feature incorrect eyewitness identifications; it’s the single largest source of error in these cases. Readers also know that a growing number of jurisdictions (for example here and here,) have adopted changes to eyewitness identification procedures to eliminate these errors, through blind administration of lineups, use of sequential lineups, and other procedures that decades of research has proven to reduce these errors greatly. But the NIJ study concludes that most of agencies have no policies for how officers conduct these crucial procedures. Eighty-four percent of the responding police departments said that they had no policy for live lineups, and sixty-four percent said they had no policy for conducting photo lineups. The study was conducted for NIJ by the Police Executives Research Forum, “a police research organization and a provider of management services, technical assistance, and executive-level education to support law enforcement agencies.” PERF surveyed hundreds of U.S. police agencies, large and small, to determine how many had at least taken the step of creating a policy to require officers to use at least some of the recognized best practices for eyewitness identification. PERF researchers found larger police agencies more likely than smaller ones to have a policy in place, but even among the large agencies, fully twenty-five percent did not have a policy. For those who follow these issues, as I do, the fact that so much of the law enforcement establishment has failed to make changes in basic investigative procedures is not entirely shocking; the resistance to science and the changes it points to is the central theme of my book Failed Evidence. But the results of the study are nonetheless disappointing, if only because eyewitness identification reform is one of the areas in which there is the greatest consensus that basic changes are needed; there is also broad consensus one what those changes needed most are: blind lineups, sequential lineups, valid ways of dealing with witness confidence statements, instructions to witnesses, and the like.